Living in Sri Lanka, finding a good rice and curry spot is an easy task. Finding good street food like Kothu and hoppers and sweets like kavum and Kokis are also a walk in the park. But where do you go when you want all these dishes in one place? 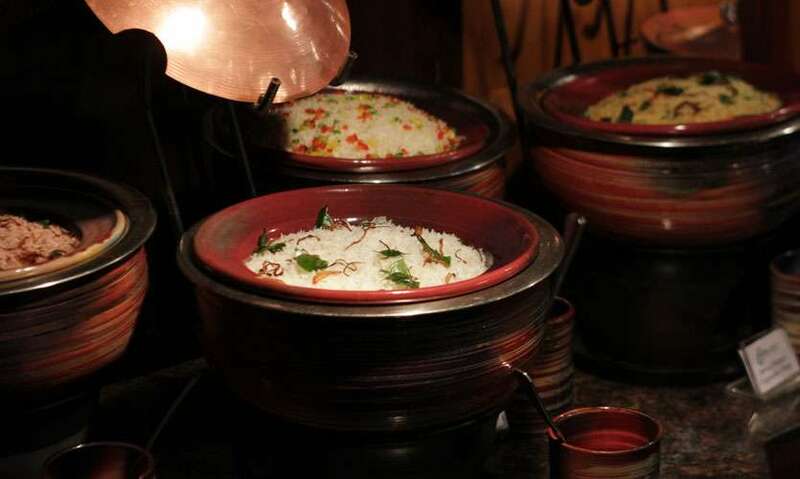 The Curry Leaf Restaurant at the Hilton Colombo is a one stop dinner destination for all your Sri Lankan food cravings. A restaurant dedicated entirely towards authentic Sri Lankan cuisine, the Curry Leaf ticks all our boxes for our local dishes. The Curry Leaf restaurant has both an outdoor and indoor seating area but the outdoor is more popular among guests while the indoor has A/C and is mostly used by large groups. The layout of the restaurant is such that all corners serve a local dish of some kind. On one corner fresh seafood is laid out and on another there is a row of action stations making all kinds of local street food while the buffet dominates another corner, so we recommend you arrive early, pace yourself and strategically make your way from one corner to another because you really don’t want to miss out on any of their dishes. 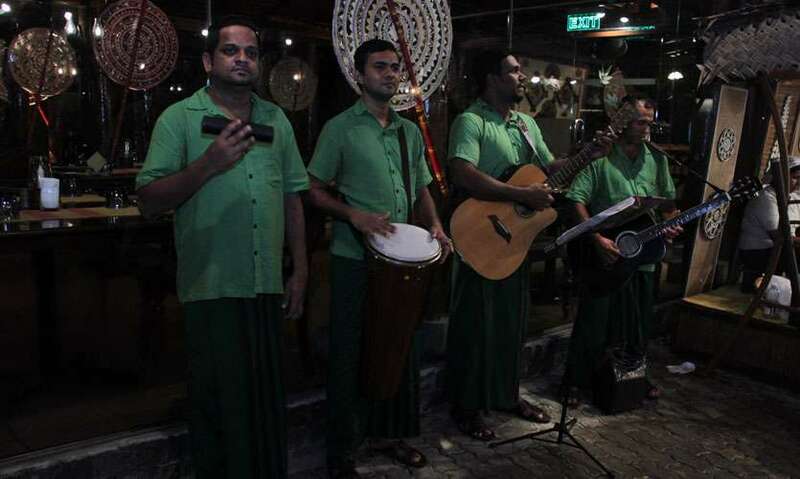 Combined with the music from the live band that sings a few Sinhala classics and the action stations powering away – the atmosphere at Curry Leaf is lively and energetic and the aroma from the spices used in Sri Lankan cooking drifting through the restaurant certainly helps you work up an appetite! 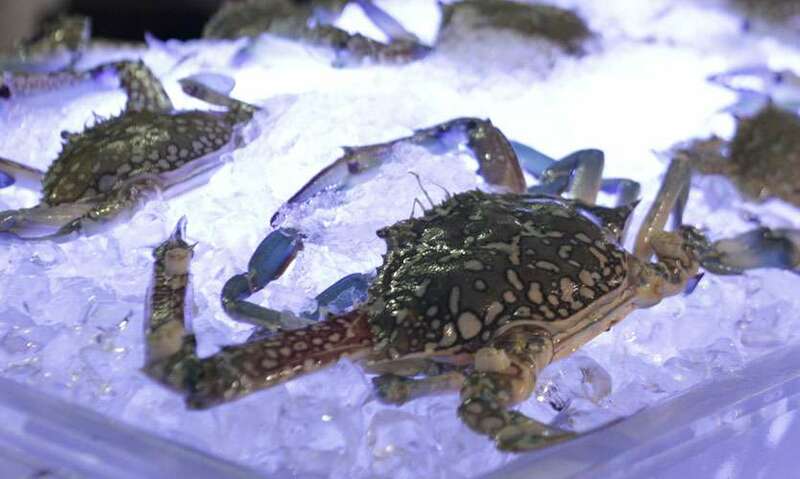 Curry Leaf serves both Sri Lankan and seafood cuisine in a buffet style. 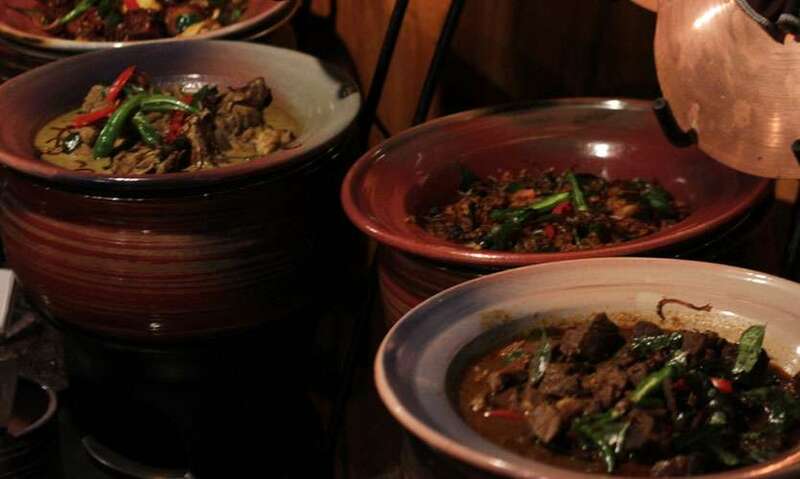 The buffet has around 8 sections serving different local dishes. ri Lankan Style Crab as they had an abundance of spices that gave both dishes great flavours. Once you pass the Seafood Corner you will also pass a Kadala Bicycle which resembles that of the Kadala Carts that we see on the roads so make sure to grab yourself a little paper cone and top it up with some spicy Kadala to have as a starter. The Bread and Salad Corner has a variety of breads, soups, yams and salads. When we went they served Lentil and Pumpkin soups which were thick, creamy and lightly seasoned. We also liked their section of yams with yellow manioc and purple yam served with fresh sambol. 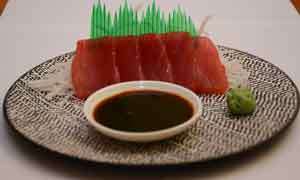 The real treat however lies in the main courses. The Carbs Corner has a variety of rice, string hoppers, noodles or pilau. 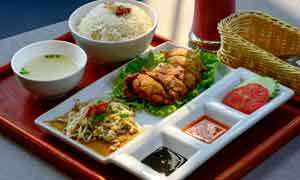 Our choice included steamed red and white rice, egg and corn rice and string hopper vegetable pilau. Once you’ve served your carb make your way to their Meat Corner which serves chicken, fish and mutton either curried or devilled. Our options included their Deviled Fish, Chicken Mustard Curry, Kooni Coconut Tempered and Jaffna Style Mutton Curry. 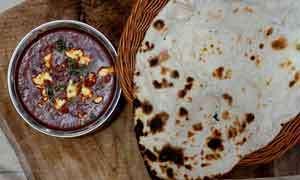 The Jaffna Style Mutton Curry stood out among the rest because of the strong flavours. The meat was tender and juicy and the spices have been well absorbed into it thus the result was a thick curry with a great balance of flavours. No rice and curry is complete without our vegetable dishes and Curry Leaf has a few favourites that we’d recommend. The Vegetarian Corner includes String Hoppers, Pittu, Kiri Hodi, Thibbatu Dry Curry, Dhal Curry, Radish Tempered, Brinjal Moju, Cashew and Green Pea Curry, Seeni Sambol, Pol Sambol, Lunumiris, Coconut Mallum and a variety of Sri Lankan pickles. We loved that the vegetarian options were plentiful and we really enjoyed the spicy dhal curry and the bitterness of the Thibbatu dry curry with our rice. Once you’ve had your fill from the buffet, make sure to save some space for the action stations! Curry Leaf has 4 different action stations making local street food. You can choose from hot hot hoppers, crispy rotti, spicy kottu or local sweets (or if you can’t make the choice – have them all!). We were quite full so we only tried their kottu but we heartily recommend that when you ask for your kottu with your choice of meat (chicken, seafood, egg) that you get it with a layer of melted cheese on top – it’s delicious. 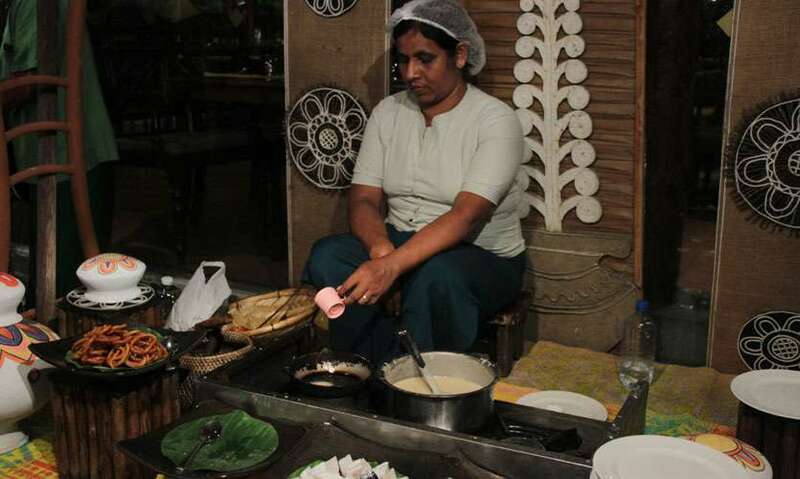 The sweets or kavili corner has a lady making fresh kavum and kokis and it’s the perfect desert to wrap up your meal. 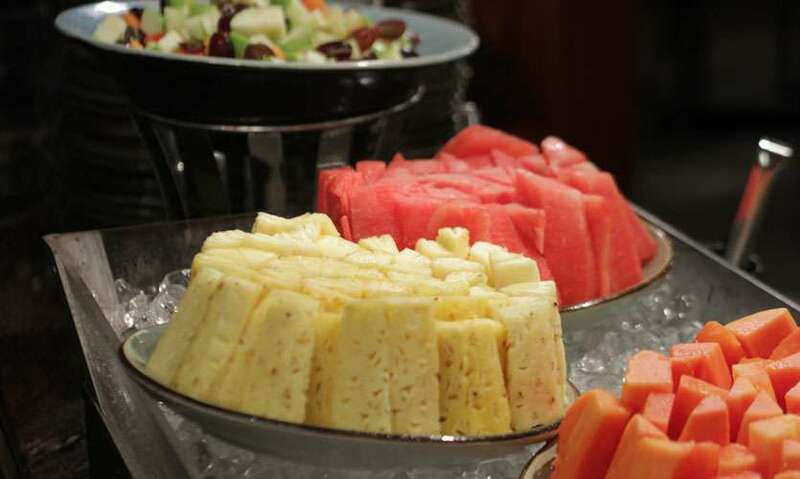 They also have their own Desert Corner with fresh fruits, fruit salad, watalappan, cream caramel, semolina pudding and French pastries so you are spoilt for choice. 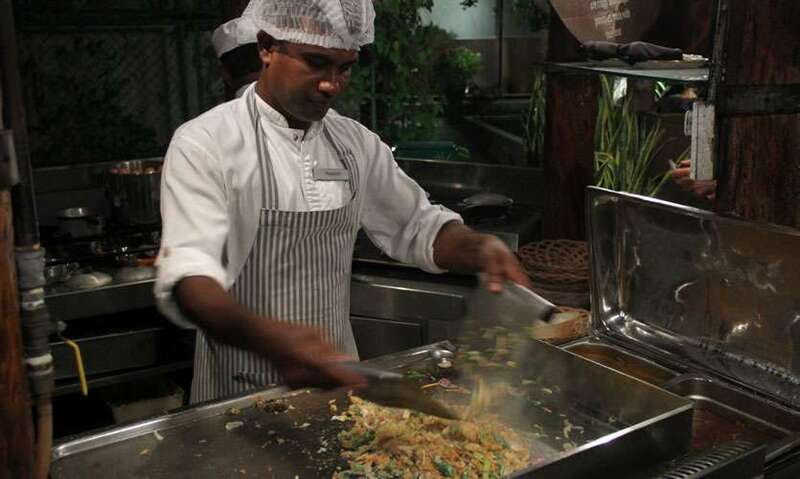 All in all, Curry Leaf does one of the best Sri Lankan buffets in Colombo. We really liked the combination of Sri Lankan cuisine with seafood and the action stations served up some great local street food. The service is great and the chef himself comes to your table and checks up on your meal. 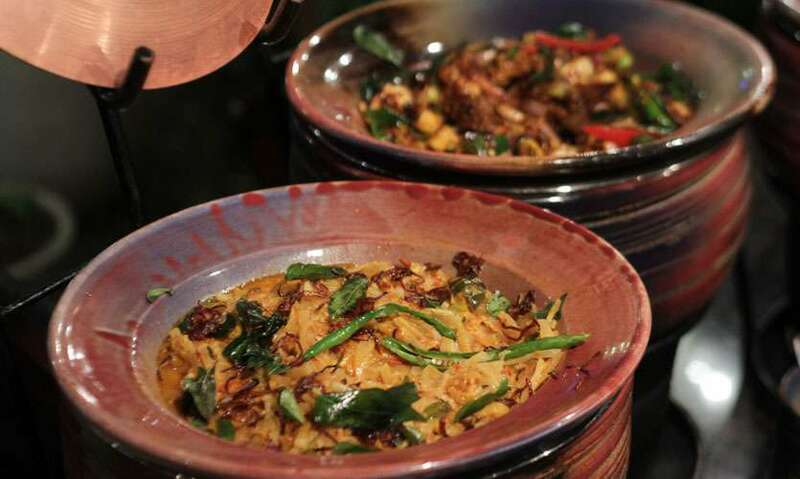 If you are craving something local and you want to splurge – Curry Leaf is the spot for you!